Fit As A Physio is a boutique physiotherapy practice that has been servicing the Neutral Bay area since 2005. We provide general physiotherapy and treatment of sports injuries for Neutral Bay and surrounding suburbs. 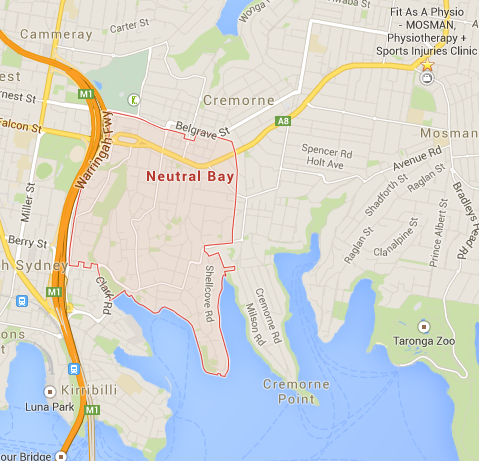 With first class service and evidence-based treatment we can help you get back to what you love doing in Neutral Bay. We offer a range of physio services and guaranteed results so you can be confident you're getting the optimal care. Ensure you get the best physio treatment in the Neutral Bay area. We also offer home visit physiotherapy in Neutral Bay. Contact us today to discuss your physiotherapy requirements as we are guarantee first class physio treatment in the Neutral Bay area.